The word calms me somehow. I thought that it sounded silly or superficial. On Facebook you inevitably end up with an advertisement for a free personality test. I ignored these for years. Eventually I stumbled into one and found out that according to Myers-Briggs I am an ISFJ. For those of you who don’t know this translates to tell me that I am introverted as opposed to extraverted, inspired by the five senses rather than intuitive, feeling as opposed to analytical and what they call judging vs. perception. The last of these being less clear that the other means that I believe that there are absolutes, like truth, right, wrong, etc. This would not seem to have anything to do with today’s topic, except that ISFJ’s apparently are strongly motivated by a love of beauty. My next statement will blow the whole hypothesis, however. The hole in the hypothesis is that my sister also love dishes and she is an INFJ. We come from a long matrilineal line of dish collectors. 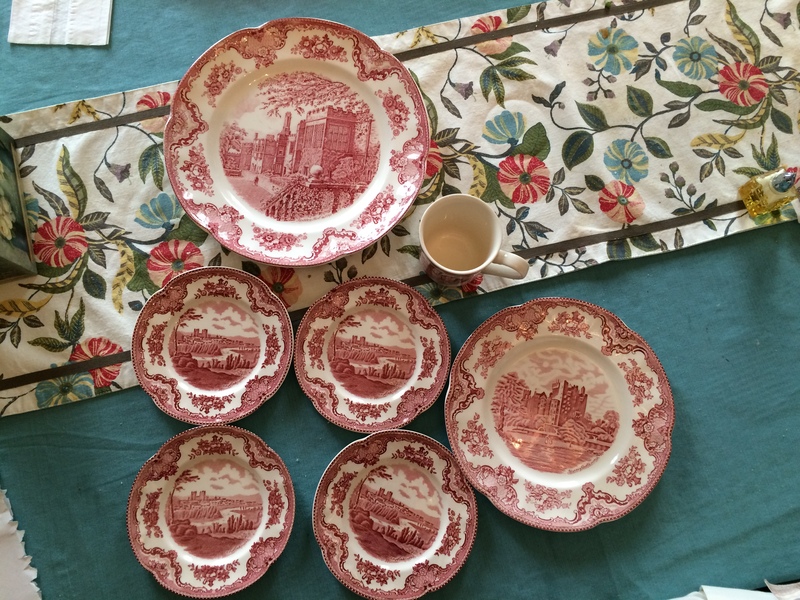 I probably can’t blame the dishes on my personality, unless it is inherited.Might there be a gene that brings about a deep fondness for eating on pretty plates? If such a gene exists I have it. I don’t actually have that many dishes, but what I have I consciously choose from and rotate them for each meal. I only once served regular meals on paper plates and that was because of a kitchen remodel that denied me a kitchen sink. 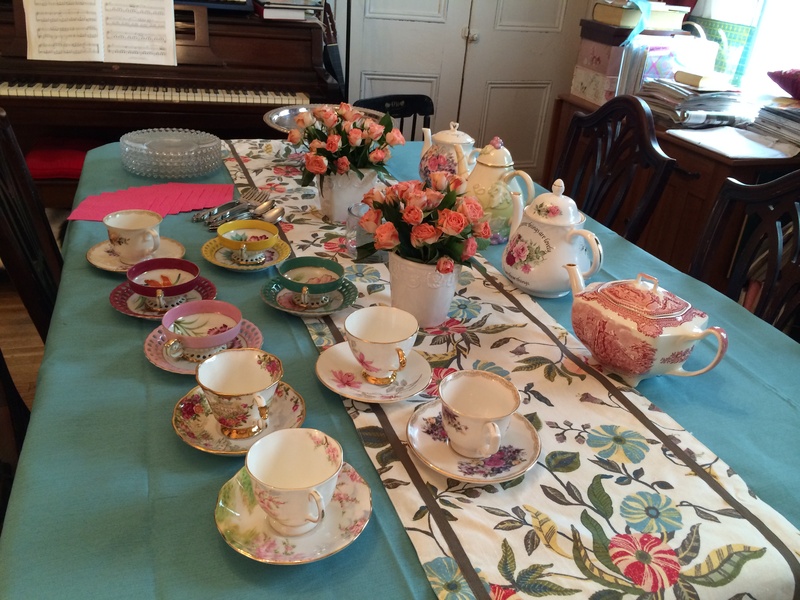 Each ordinary evening I set out the pretty plates on a cloth tablecloth. 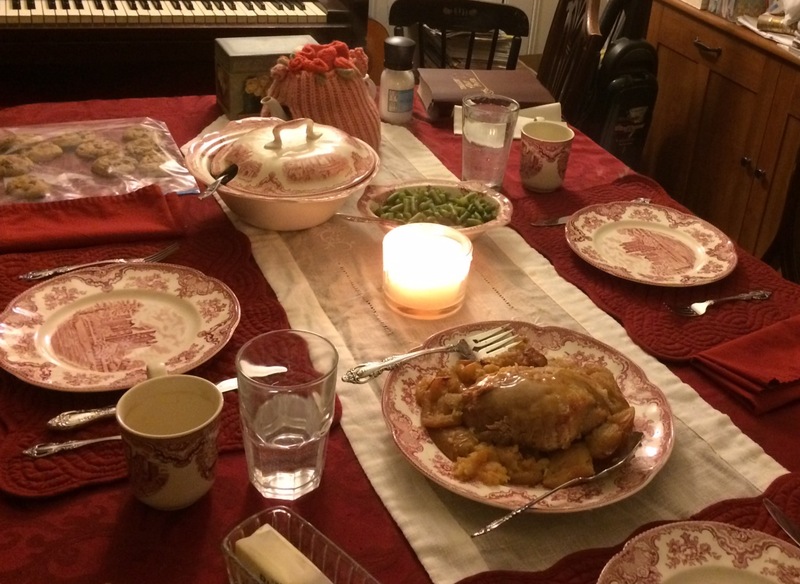 The food, be it ever so humble, tastes much better with a candle lit and coordinating tablescape. 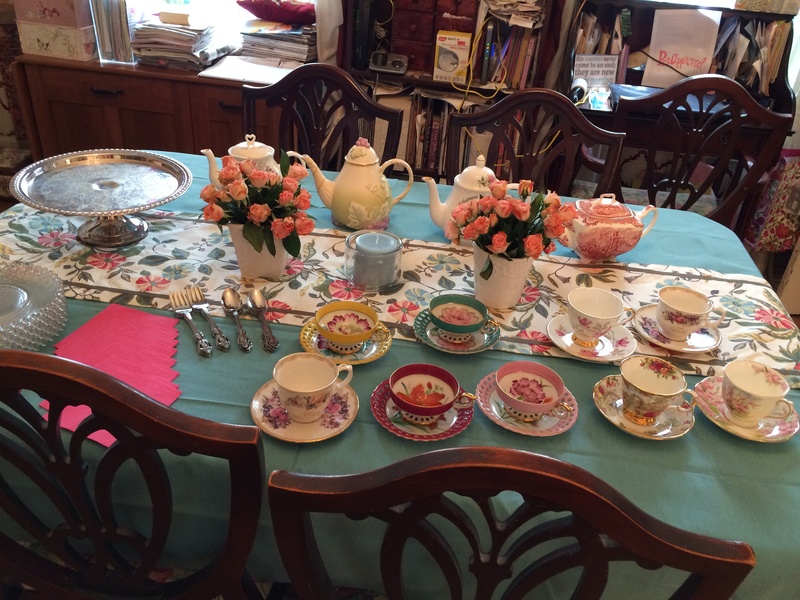 Even if I am exhausted and we only eat frozen meals, the pretty tea-pot, mugs and matched flatware, candle and cloth napkins are present. It creates a sense of calm. The dinner topics may end up political, ugh, but I created a soothing atmosphere to start the meal. Dishes tell us something about not only our desire for beauty and order. They also speak to our sense of priorities. I value relationships highly. 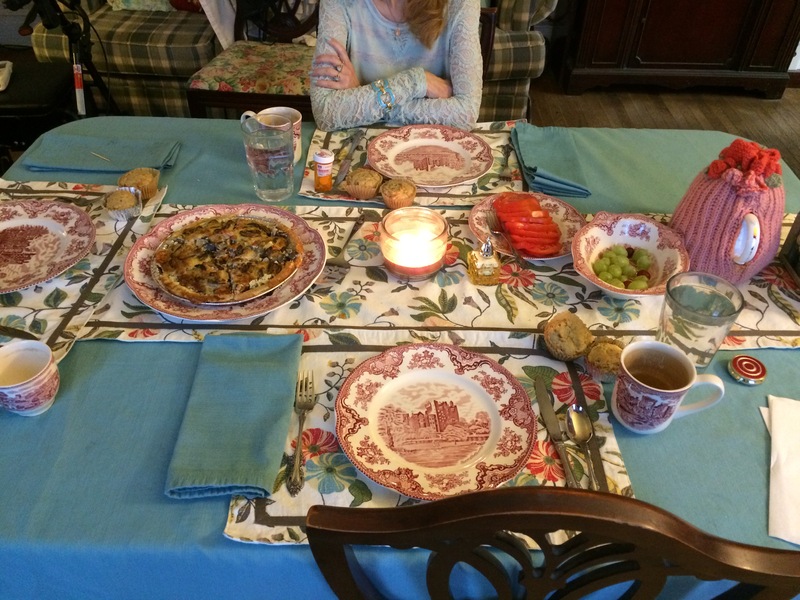 Part of my desire to focus on relationships is played out in the sharing of a leisurely meal with those I love. All day long I fight the clock to accomplish as much as possible from my Opportunities List (To Do List). When I place dinner on the table I am setting aside the clock for an hour. I am prioritizing people over tasks. I am trying to make ordinary memories. We begin with prayer. The meal is sacred. It is a family event for us and God, who is present with us. I do not earn a pleasant dinner. It matters not how far I have come that day. It is a benediction, a blessing. We offer thanks for the food and with that I offer myself up to God and those I love. The scones may have been too crumbly. The stir-fry might be bland or the rice in a bit of a clump. Grace isn’t just what we call the blessing, it is what we are offered. God gives me grace as cook and so does my family. It doesn’t need to be special. 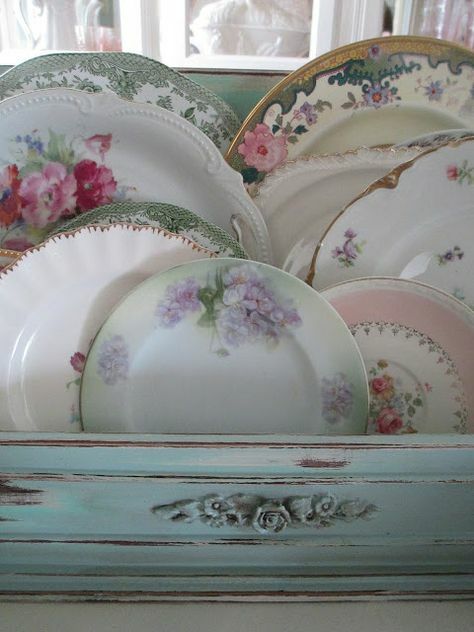 Each day is a gift and every dinner comes with pretty dishes.